Congratulations go to members of the Infection team! 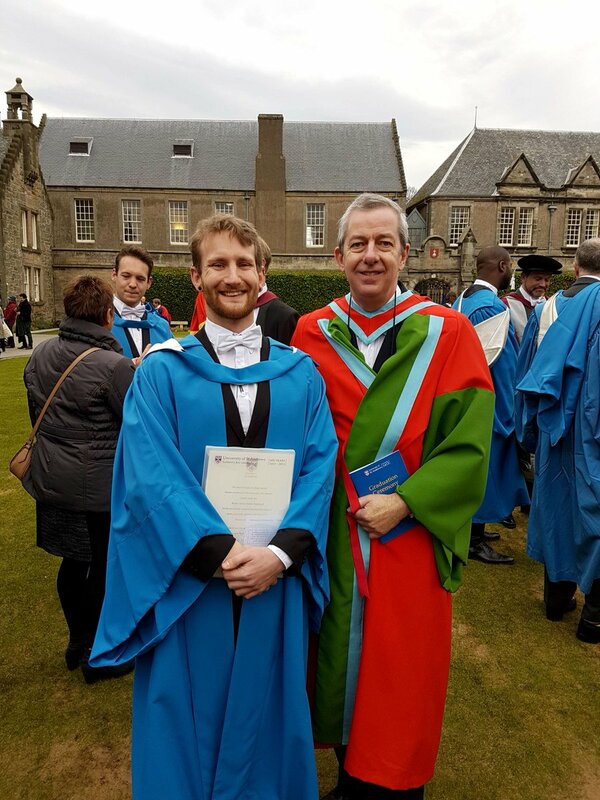 Professor Matt Holden was inducted at the graduation ceremony on Wednesday 30th November, St Andrew’s Day. Prof Holden is a Principle Investigator in the Infection Group and the work of his research group is directed at two main areas: translational genomics, the application of WGS in clinical microbiology; and experimental genomics, using data WGS to investigate the relationship between pathogens’ genotypes and phenotypes. 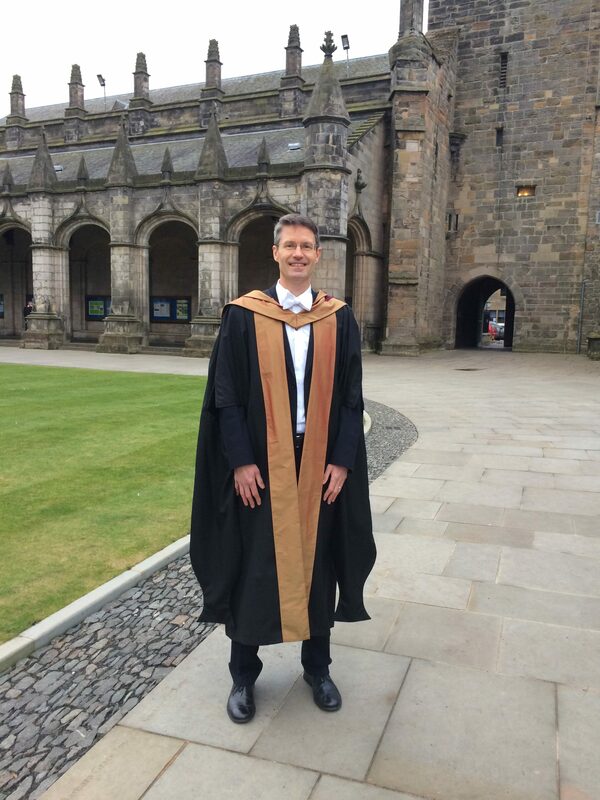 Dr Robert Hammond was awarded his PhD, the title of which was “Determining mycobacterial cell states using photonic techniques”. Robert has now joined the Gillespie group as a post-doctoral research assistant and will continue working to develop the Discovery Award-winning SLIC device further, for which he is the co-inventor. 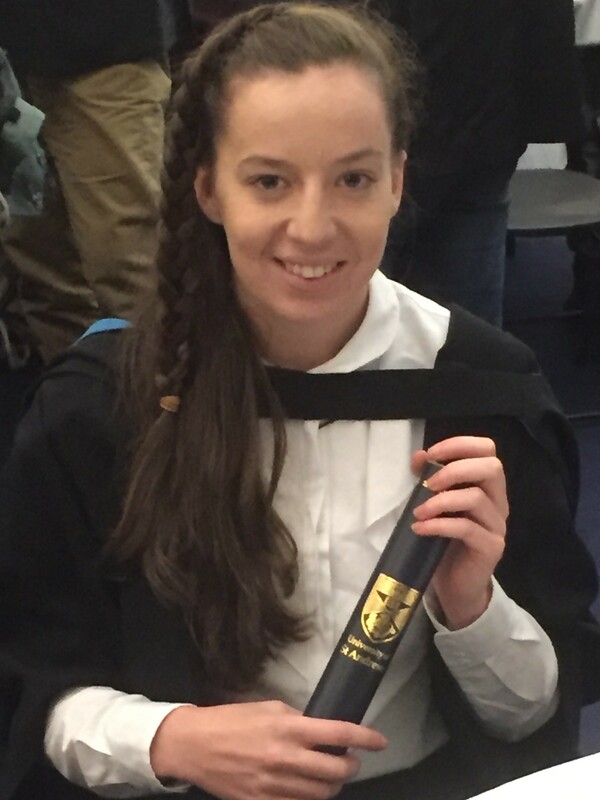 Kerry Falconer was awarded her MRes and has now joined the Gillespie group as a research assistant where she will be working on SLIC and evaluating MBLA in clinical practice. Well done Matt, Robert and Kerry!